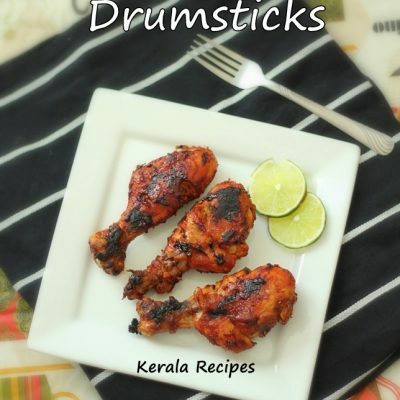 While watching a Malayalam Cookery Show, I came across an interesting recipe by a Chef from Kottayam. It was the recipe for Kerala Style Beef Fry which was quite different from the regular Beef Ulathiyathu. I decided to try the same recipe with Pork and it turned out really well. 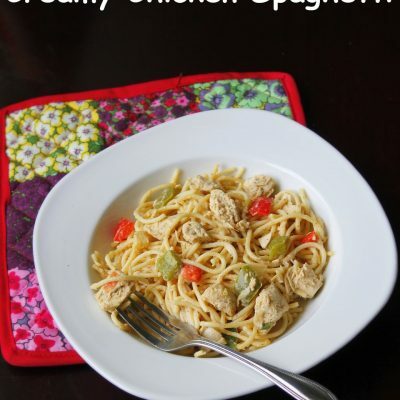 You can use Beef or Pork for this recipe but the meat needs to be sliced into thin strips. The Meat is first marinated and shallow fried in oil and then sauteed with onions and other ingredients. 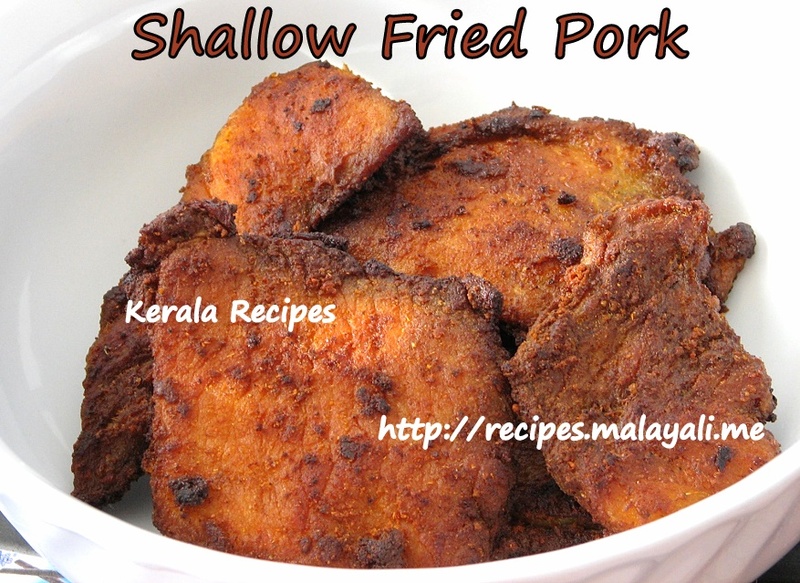 The Pork strips which were shallow fried in oil looked and tasted exactly like fish. 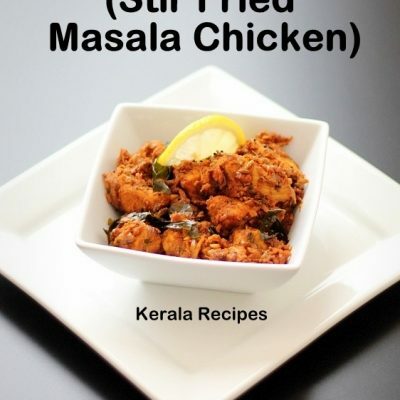 The Fried Meat Strips itself make a great dish and when sauteed with onions and other ingredients, it tastes out of this world. 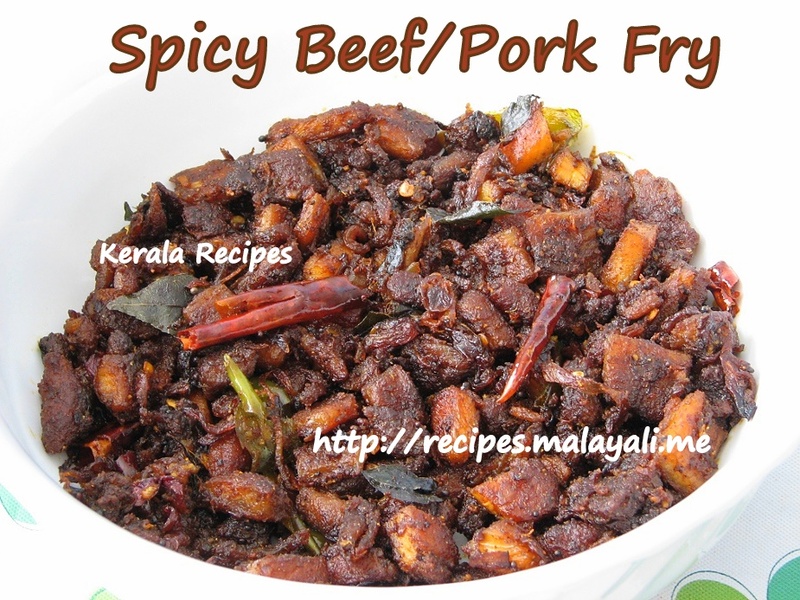 This Spicy Meat Fry (Irachi Varuthathu) can be prepared quickly when compared to the regular Beef/Pork Olarthiyahtu. 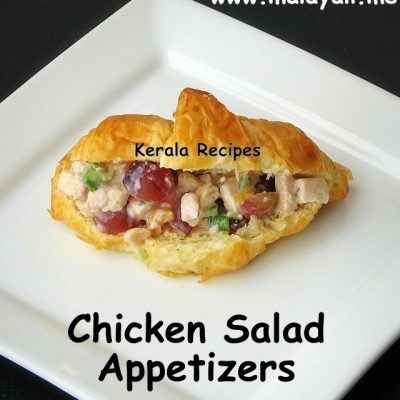 This is a wonderful recipe and is an excellent appetizer with drinks. Wash the meat thoroughly and drain all water. Cut it into thin strips. Marinate the meat with all the above ingredients and keep it aside for 10 minutes. Meanwhile heat oil in a non stick frying pan and shallow fry the meat until browned on both sides. You need to fry each side for atleast 5 minutes so that it browns well. Remove the strips and drain onto paper towels. To the same oil, add onions/shallots, green chillies, ginger, garlic and curry leaves and saute until the onions begin to brown. Reduce heat and add red chilly powder, meat masala powder, garam masala powder, pepper powder and coriander powder. Saute for 2 minutes. Meanwhile, roughly chop the fried meat into bite sized pieces. Add the chopped meat to the pan and continue sauteing for 5-7 minutes till the masala gets coated on the meat. Sprinkle 2 tbsp lemon juice and mix well. Remove from stove top. Sprinkle more lemon juice before serving. Do not skimp on the lemon juice as it enhances the taste greatly. I loved it! A very different recipe for pork. Great as a side dish with rice. 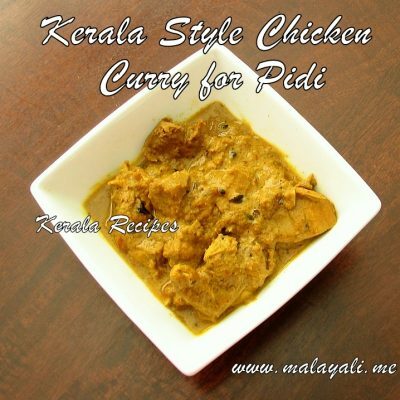 i tried this dish out, my guests loved it…i can blindly follow ur recipes now! The photo looks so tempting. Have to try this!